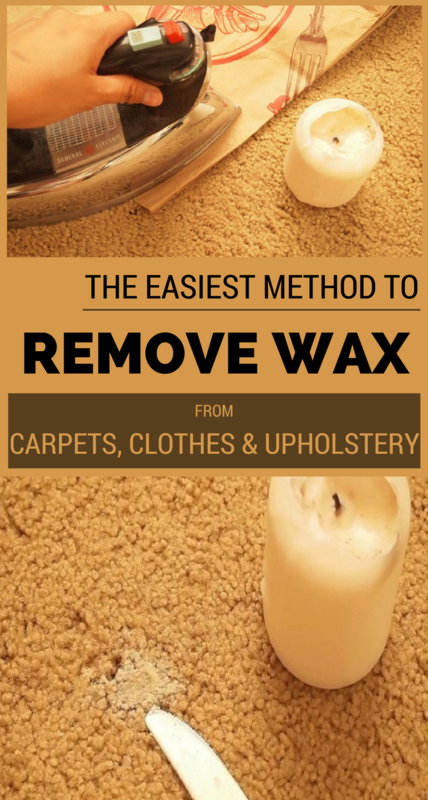 The easiest way to clean the wax on your carpets or clothes is to warm it well with an iron and clean it with soft paper towels that absorb well all the melted wax. First, clean the top layer of hardened wax with a knife or a pile. Be careful not to cut the carpets or the material. 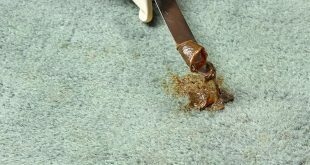 Then put over the wax stain, a paper towel and a piece of high quality baking paper, and start ironing the wax stain. This way the paper towel will absorb the melted wax. Repeat this procedure several times until the wax is completely absorbed. Then, you can wipe the area with a cloth moisten in rubbing alcohol.